Podcast update: still in holding pattern waiting for my voice to return…been a lousy week fighting off this head cold. I did create my libsyn account and my cover art and all that good stuff so I should be up and running very soon! 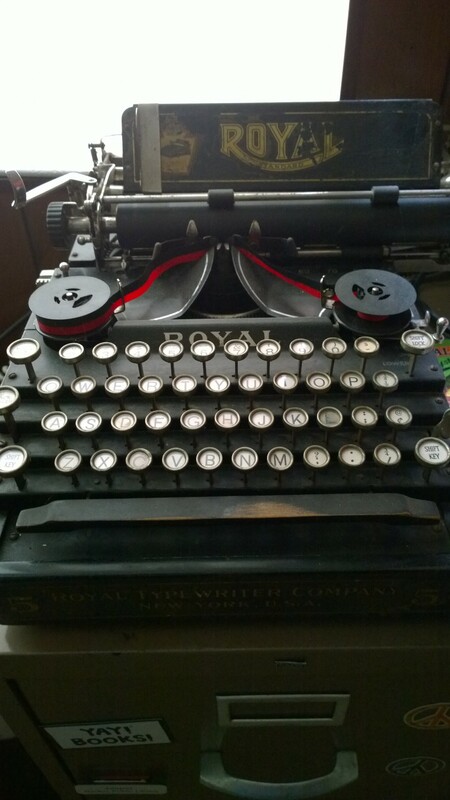 In the meantime, since I’m resting up trying to get better, already did a chunk of writing today, and the baby is asleep, I’m allowing myself a few minutes to wax rhapsodic about typewriters. I’m a kid of the eighties, so by the time I was old enough to remember most writing was done on word processors. When I was six years old my mom gave me my dad’s old manual portable typewriter, probably because he didn’t need it anymore. The thing fascinated me and I wrote a story called “Amy and the Ship,” which is…really hard to read because I was six years old and couldn’t really type. 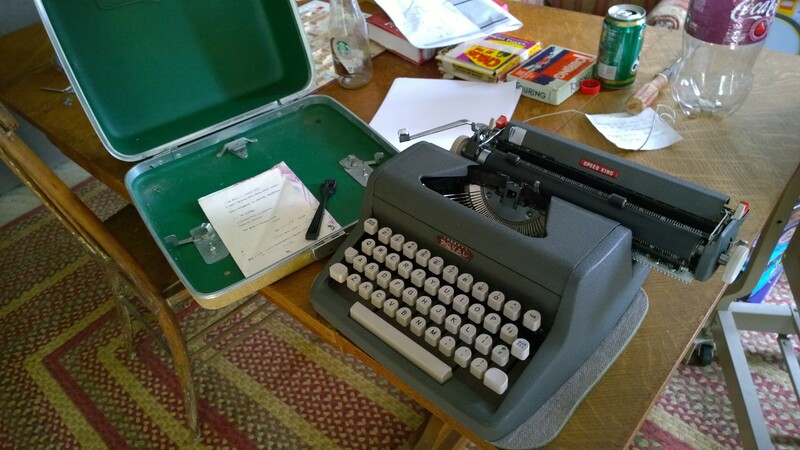 After that story, I didn’t have the occasion to really use typewriters again until I met my husband and confessed to him I had always wanted one. and I was so thrilled because I had what I had always wanted. I did not know I had just begun. 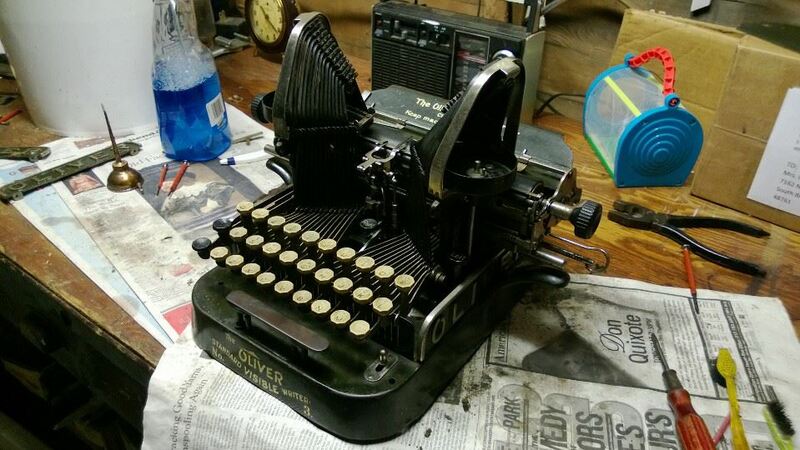 After watching me haul the portable on the plane, my husband fixed up an old Oliver for me to have access to at our family summer home so we don’t have to take one there. It is very fun. The type bars come in from the sides. Probably the oldest of the bunch, and not the most intuitive machine ever, but writing in the summer home is a lot of fun. 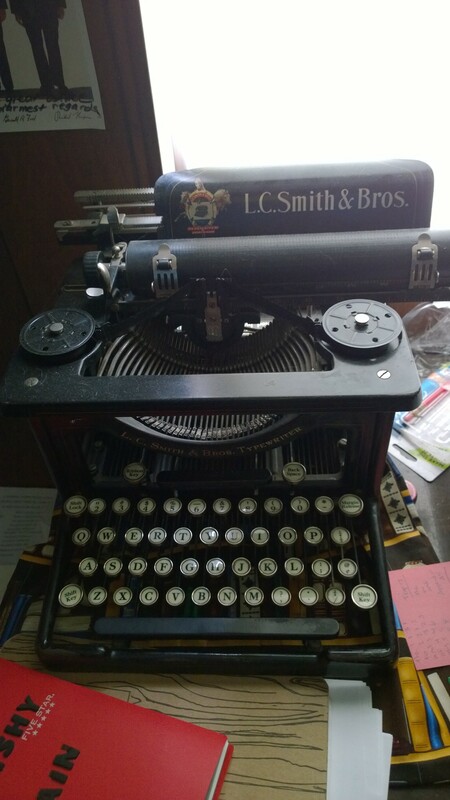 Apparently my father-in-law recently rescued his father’s old typewriter and moved it up there for me as well, so I will have options this summer writing by the lake. Picked her up at a Sons of Norway rummage sale (you can’t make that up.) Came with a stand, but hasn’t been on it yet because it is just my one-year-old’s size, he would like to pull the typewriter down on himself, and it is heavy and would crush him. 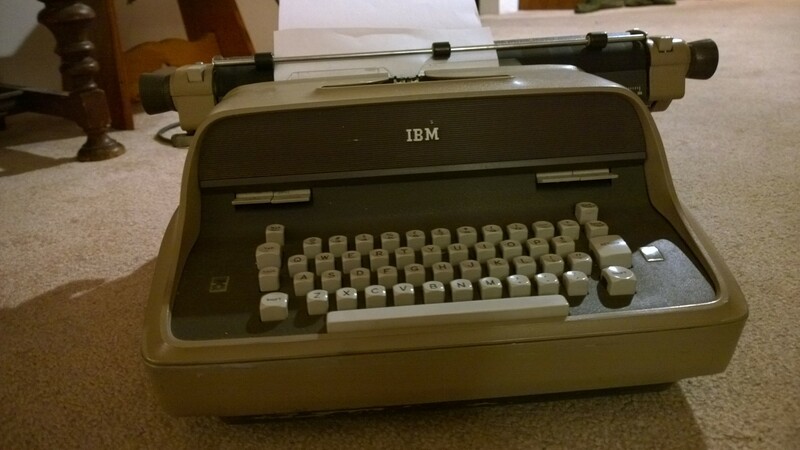 It’s an IBM C, Standard model, which is a model or so older than the Selectric. 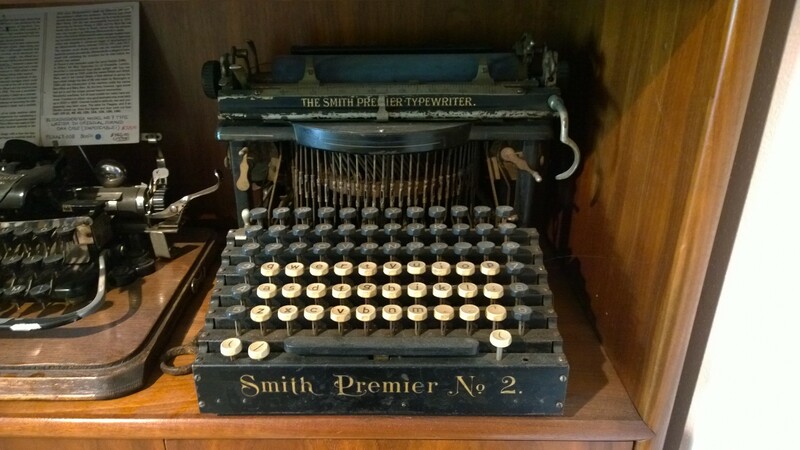 Has type bars rather than the golf ball, but has the lovely hum and fast sound of an electric typewriter and a really long carriage so I can write on any size of paper. Finally got ribbons into it and wrote two short stories on it this morning. I have a Selectric that doesn’t at the moment work, but there is a spare one for parts so hopefully soon. For what it’s worth, when I finally got my husband to watch the first season of Mad Men with me, his first criticism was that it couldn’t be 1960 because the Selectric didn’t come out until ’62. I do a lot of writing on computer these days, both desktop and laptop, and they have their advantages, but you’d better believe when I feel stuck I go right back to these guys. Look for episode 1 of the podcast coming soon where I stop rambling about how I write and start sharing the writing. In the meantime, however your creativity gets let out, I hope you find joy in it.